The Aleethia Foundation / Ever Vigilant! CACI International hosted Aleethia’s Friday Night Dinner held on September 21, 2012. Several CACI representatives greeted and served as table hosts for the evening. CACI provides information solutions and services in support of national security missions and government transformation for Intelligence, Defense, and Federal Civilian clients. A member of the Fortune 1000 Largest Companies and the Russell 2000 Index, CACI provides dynamic careers for approximately 14,900 employees working in over 120 offices worldwide. 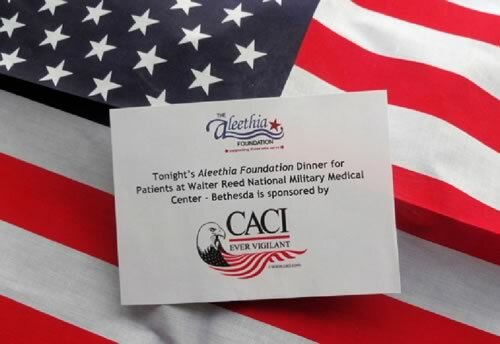 In attendance for the dinner, were several CACI’s Military Recruitment and Veteran Support staff members. CACI's veteran-specific recruiting efforts are successful because of a company-wide commitment to actively recruit, hire, and mentor veterans. In turn, the veterans in CACI's workforce enjoy meaningful careers while offering the company's clients insight honed by their dedicated military service, high sense of ethics, and strong commitment to national priorities. A high percentage of the veterans CACI hires hold security clearances, further qualifying them to support customer programs that are vital to national security. According to Dan Allen, CACI President and Chief Executive Officer, "We feel that enabling veterans to build their careers is more than a professional obligation. It's an important component of what CACI has dedicated itself to throughout our history. These men and women have already given so much to keep our nation safe — now it's our turn to provide an opportunity for them to succeed as they support our customers." 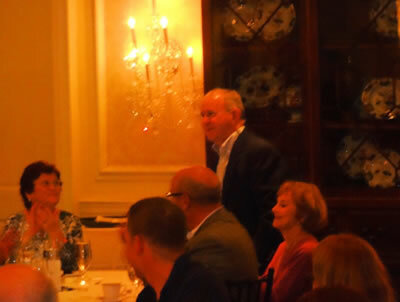 We were honored to have Chuck Watters, West Point Class of 1950, join the injured service members for dinner. Chuck was drafted in World War II and served in Europe during the latter part of the war. 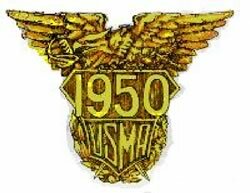 After WWII, Chuck entered West Point and after graduation in 1950, he served in Korea and Vietnam. Thank you for your service Chuck!